Abdominal massage is beneficial on numerous levels for many people, but we continue to hear from clients that they have never received abdominal massage before, even if they are regular recipients of massage. So why is this key area being avoided? Well many clients are just not educated in what abdominal massage can do for them or what their ab muscles even really are, and so they either do not request that area to be worked or it is left out of their “full body” massage session. Many therapists are also cautious to work this area because their clients either think it is “weird” or they do not know how to approach recommending work in this area. Let’s first learn about our ab muscles and then move onto the benefits of abdominal massage. The abs are actually made up of several different muscles: rectus abdominis, internal and external obliques, and transverse abdominis. There are also many muscles of the lower back that are accessed through the abdominals such as the psoas and illiacus or iliopsoas as they are commonly known. (We’ve even written an article about just the psoas before.) The rectus abdominis and external obliques are the muscles that people generally picture when they think of their abs. These are the show muscles that form a six-pack and “V” near the hip bones which we see on people with a low body fat percentage. Whether or not you have a low body fat percentage, those muscles are still there and require love and care as they are key stabiliser muscles for your entire body. The ab muscles can actually be an area of increased tension for many people and some cannot achieve true relaxation until these muscles have been released. We are constantly told as a society to hold in our stomachs and tense our abs to stabilise ourselves. There are also many vital organs beneath our abs and we tense our stomachs in order to try and protect them as they do not have a nice little cage to hide in like our heart and lungs do. This consistent tension pulls on the front of our bodies and as a result can cause mid-lower back pain and pain throughout the hip flexors. Sitting at a desk can also contribute to tension in the abdominal and lower back muscles as it puts your hips in a constant state of flexion and therefore the muscles shorten over time and need to be stretched and reset to their original length. This is where massage comes in. 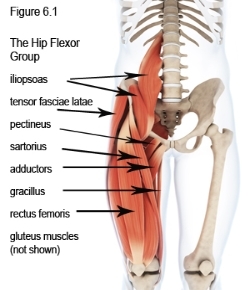 A targeted abdominal massage and hip flexor work can greatly reduce the tension on the lower back and upper legs and therefore reduce discomfort for clients with lower back and hip flexor pain. Abdominal massage also relaxes and releases any restrictions on your organs underneath to allow for proper functionality of your gut muscles and organs. Basically it allows your stomach to do what it needs to do, but more on that in another article. If you have been experiencing mid-lower back pain, hip pain, or haven’t tried abdominal massage, ask your therapist. If you have any questions, comments, or concerns regarding abdominal massage, please ask your therapist-we love educating people about what we do and why we do it. Written by Eleanor Le Fevre.